Call Us! Or Stop By! If you want more information or to discuss your situation, you always have the option to talk to a housing counselor ahead of time by coming into the Tenant Resource Center office (no appointment necessary!) or calling (608) 257-0006. If you are calling about an upcoming eviction, make sure to select urgent housing counseling. When you arrive at court for an eviction hearing, you probably will have a lot of questions about your rights as a tenant. In order to get those questions answered, a housing counselor from the Tenant Resource Center will be there for you before you go into either the hearing room or mediation. During this time the housing counselor will be able to give you information about relevant housing laws, your rights and responsibilities, and the court process in general. However, the housing counselor is not a lawyer and will not be able to give you legal advice or represent you in court. In order to have time to discuss your case, it is important that you go to the courthouse before your scheduled hearing time. If you are late, you could lose your case by default. If you still need more time to get information, collect evidence or obtain an attorney, you can always ask for a trial on a different date. In Dane county, trials are usually held the following Friday in front of a judge. You also have the right to request a jury trial, which may take longer to schedule and it will cost you $36. Fees may be waived depending upon your income. 1. Now that an eviction has been filed, it can't hurt to show up at small claims court, it can only help. If you don't show up, you're automatically evicted. Future landlords will see that you have an eviction on your record. That's why it’s always worth it to show up to court and try to mediate, negotiate with your landlord or at least advocate for what will make it easiest for you to move out without an eviction. Many landlords use eviction as a tool to enforce payment plans. Your landlord may be willing to negotiate with you. It can’t hurt to ask! 2. Know your rights! Landlords make mistakes or aren't always right about the law or the process. There may be ways to prevent your eviction that you haven’t thought about. It’s always good to ask your questions of people who are at small claims court every week and thoroughly understand the eviction process and tenant-landlord law. Call the Tenant Resource Center, stop by our office or talk to us at court! 3. Try Mediation. Mediation is an opportunity to work out an agreement between you and your landlord. If you don't come to an agreement in mediation, you can still go in front of the court commissioner and have a hearing. Ask about mediation services at the court house. The mediator can walk you through the process and see if you and the landlord can come to an agreement. 4. Don't agree to something you can't do. We talk to many tenants that agree to things they can't do and ultimately get evicted. If the landlord is pressuring you to do something you can't do, it might be better to just agree to a move out date or take your chances with the judge or court commissioner. 5. Ask for what you want! You never know, the court commissioner or judge might side with you. If the landlord says you need to be out by tomorrow and you can't get out until Saturday, speak up! Let the court know what works for you and they can also help mediate. 6. Need more time? Sometimes you get to court and the landlord says something you didn’t expect, you have additional information, or need more time to get an attorney. You can try to negotiate right there, or you can ask for a trial on another date. Trials are usually held that same week on Friday unless you ask for a jury trial (costs $36), then it may take more time to schedule. 7. What if the court orders an eviction? Most likely you won’t have to move until the following week. The landlord has to make arrangements with movers or get bonded and arrange the eviction with the Sheriff’s office. The deputies will give you one last notice to move and that takes a few days. 8. Check for another court date! Landlords often schedule a second hearing to determine how much money is owed. Make sure the court has your forwarding address. At the Tenant Resource Center we have funding to put towards eviction prevention. If you are getting evicted for nonpayment of rent, there is a chance we might be able to use some of this money to help you pay your landlord and stay in your home. 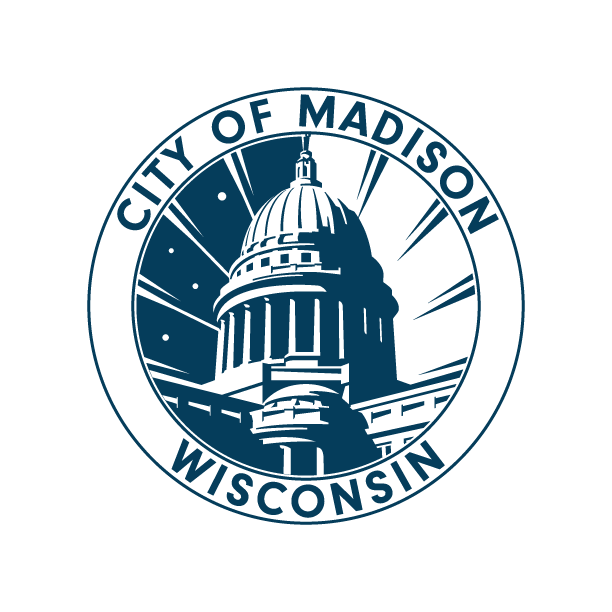 However, the money we have for this program only covers about 0.6% of the over $2.6 million that people need to prevent eviction each year in Dane County. are currently living in subsidized housing. If you fit into one or more of these categories and are being evicted for nonpayment of rent, you can call the Tenant Resource Center at (608) 257-0006 x7 to see if you are eligible for financial assistance. Call Before You Go To Court! The sooner you call, the more we can help! When you call, you will be asked a lot of questions and might have to talk to more than one person. Thank you in advance for being patient, because we know the process can be frustrating. If I Qualify, What Happens Next? If you qualify for financial assistance, you will still need to go to court to ensure that your landlord is willing to accept your payment and let you stay in your current housing. It is important that you show up early to your court date so that you have time to talk to Tenant Resource Center staff ahead of time and finish filling out paperwork. If you have questions about the timing of your court date, you can call the court at (608) 266-4311. Once the court process is finished and your landlord has been paid, it is important to stay in touch with the Tenant Resource Center in order to get your questions answered, prevent future problems, and stay in your current housing.